Norma Bennett, age 81, of Boone and the Westhaven Community, died September 23, 2018 at Westhaven. Following her wishes, Norma has been cremated. A Memorial Service will be Saturday, September 29, 2018, at 1:00 p.m. in the Chapel of the Westhaven Community, with Chaplain Jeff McDowell officiating. Friends may call Saturday at the Westhaven Chapel from 12 noon until service time. Norma Ann (Birdsell) Bennett, was born on March 11, 1937 in Shevlin, Minnesota, the daughter of James and Pearl (Carlisle) Birdsell. Norma attended Perry High School in Perry, Iowa. She was a homemaker and worked as a housekeeper outside her home. Norma enjoyed collecting black and white cow items, flower gardening, especially wild flowers, feeding and watching birds, especially cardinals, and growing house plants. She also enjoyed dancing, her jewelry, watching Animal Planet, and reading home and garden magazines. Norma loved spending time with her family. She is preceded in death by her parents; three brother, Richard, Robert, and Kenneth Birdsell; five sisters, Carol Hutchenson, Helen De’Carris, Kathryn Buck, Lois Bettencourt, and Janis Birdsell. 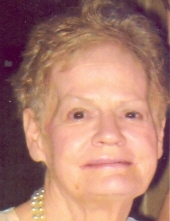 Norma is survived by three daughters, Deanna (Denny) Martin of Boone, Sherrie (Dennis) Conrad of Perry, and LeeAnn (Phil) Reinders of Orange City; two sons, Anthony Bennett of Perry, and Mark (Linda) Thompson of Nemaha; nine grandchildren; 11 great grandchildren; one brother, James (Ramona) Birdsell of Ames; three sisters, Erma Bettencourt of Florence, Oregon, Mavis Prester of Albuquerque, New Mexico, and Pat Peters of Perry; numerous nieces and nephews. In lieu of flowers, memorials in memory of Norma, maybe directed to the family. To send flowers or a remembrance gift to the family of Norma Bennett, please visit our Tribute Store. "Email Address" would like to share the life celebration of Norma Bennett. Click on the "link" to go to share a favorite memory or leave a condolence message for the family.